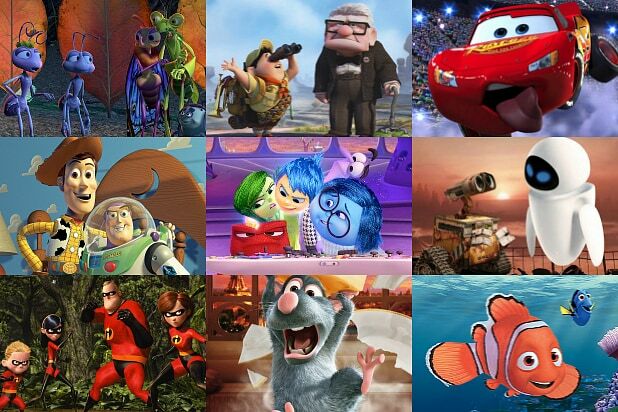 Whether you find the dominance of superhero pictures a glut or a bonanza, a cause for artistic concern or a boon to the movie business, the prospect of a sequel to “The Incredibles” always seemed to glide above that fray: Brad Bird’s whizbang 2004 Pixar feature about a nuclear/power family was atomic entertainment that in the years before our Marvel age felt like its own thrilling, funny, stylish universe. 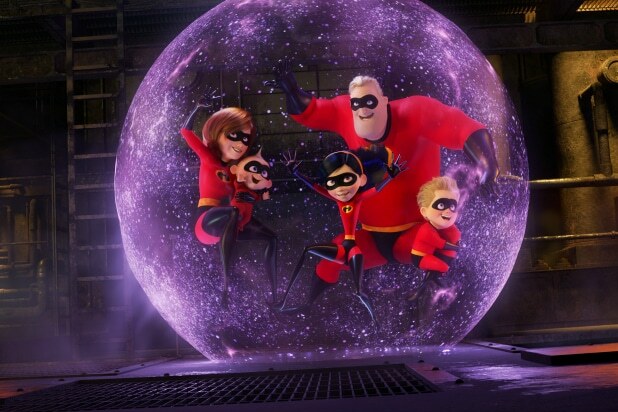 The good news is that this continuation is a similarly rousing and savvy adventure that energetically serves up more of what we love — from the sleek retro-futurist designs to the ticklishly severe Eurasian super-clothier Edna Mode — and yet wisely, wittily, reverses the first film’s accommodating traditionalism to make for an even richer, funnier portrait of its tight and in-tights family. Which means this time around, Elastigirl (voiced by Holly Hunter), aka Helen Parr, aka Mom, is the front-and-center superhero, rather than Mr. Incredible/Bob (Craig T. Nelson), whose mission-minded pride triggered the first film’s peril. And while the newly unified family works together at the start of “Incredibles 2” to vanquish the Underminer, who wields a building-sized drill bit, the Parrs are still unappreciated and illegal, reduced afterward to figuring out another normal, law-abiding, identity-shielded existence. It’s even harder now, though, since learning from government ally Rick Dicker (Jonathan Banks) that the Super Relocation program — designed to clean up messes and find supers jobs — is ending. When Elastigirl steps up to save a runaway metro train, revealing a new hypnosis-deploying supervillain named Screenslaver, Helen feels a newfound sense of purpose. The campaign works, too, earning the support of a supers-friendly ambassador (Isabella Rossellini). That leaves Bob — sidelined, jealous, but ready to pitch in — as the overly confident stay-at-home daddy, keeping house in a swanky, starburst-ornamented mid-century modern provided by the Deavors. Of course, Bob eventually realizes that dealing with the roiling emotional life of sullen, invisibility-powered teenager Violet (Sarah Vowell), the math homework of lightning-fast son Dash (Huckleberry Milner), and chasing after baby Jack-Jack, makes family home maintenance a task as tiring as any one-on-one with a nemesis. And by the time the secrets are revealed, alliances are broken and repaired, while family bonds prove strongest of all. That idea also encapsulates the droll, poignant pleasures of the Chinese cuisine-inspired Pixar short preceding it, “Bao.” Bird has enriched the genre beyond the usual hurrah/comic brio with piquant commentary on fan-cultism, our screen-dependent lives, and gender-role biases. In other words, here comes “Incredibles 2” to save the day, the weekend, your summer, and maybe even your Marvel/DC/superhero fatigue.